Are you afraid your macbook will get stolen? Is your roommate or spouse snooping on you? 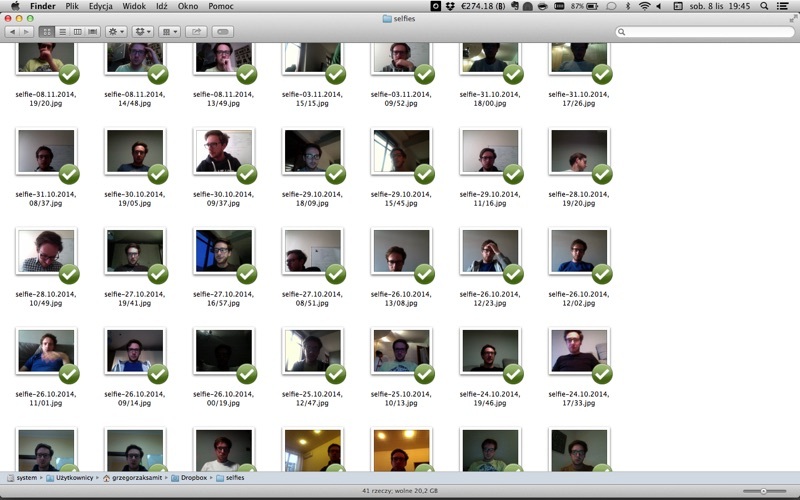 Ever wanted to make time-lapse video of how you looked every day? Do you make a lot of selfies for Twitter and Facebook? Automatic Selfie App will help you! The app was covered on Cult of Mac! The Selfie App uses facetime (iSight) camera to take a selfie photo every time you open the macbook lid (or just wake macbook or iMac from sleep). Moreover! The photo is captured before you log in. People who don't know your password will be photographed anyway! If you choose Dropbox folder as a destination for your selfies you'll get them automatically synchronised and available from other devices.